An international team of researchers has detected an incredible astronomical object: a pulsar that spins over 42,000 times every minute. This is the second-fastest-spinning pulsar ever discovered. The findings, reported in the Astrophysical Journal Letters, describe PSR J0952–0607, the leftover core of a star that became a supernova. 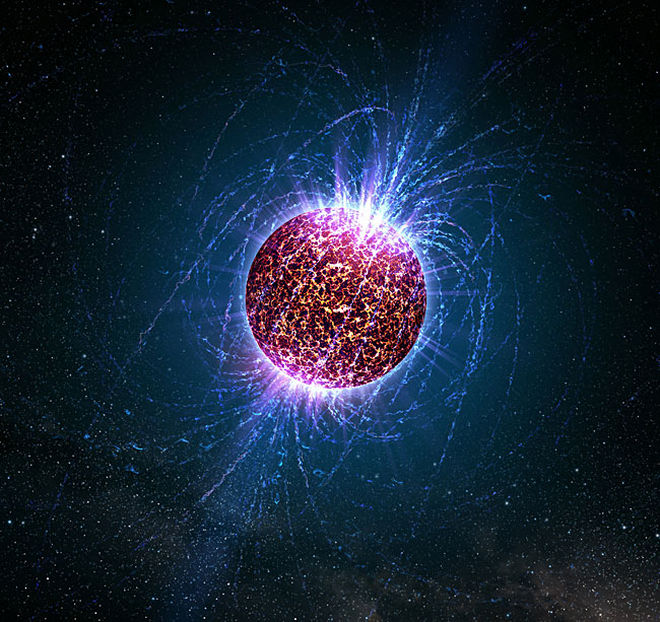 It's a type of neutron star so it has a significant mass, about 1.4 times the mass of the Sun, in a tiny volume. It wouldn’t be much larger than Manhattan. But unlike many neutron stars, PSR J0952–0607 is a pulsar. A beam of radiation is emitted by these objects and as they spin, they appear to pulsate, hence the name. This pulsar rotates 707 times each second. The discovery was possible by combining the data from NASA’s Fermi Gamma-ray Space Telescope with the Netherlands-based Low-Frequency Array (LOFAR) radio telescope. It was detected at a frequency much lower than conventional radio searches, which might suggest that there’s a whole new population of ultra-fast pulsars waiting to be found. This pulsar also has another label. It’s a black widow pulsar, nicknamed because the stellar object is consuming a companion star. The team identified J0952’s companion, a star that has been eroded so dramatically that it only weighs about 20 times the mass of Jupiter. The fastest-spinning pulsar rotates on itself about 43,000 times every minute, but even that incredible value is nowhere close to the theoretical limit scientists estimated. A pulsar could spin as fast as 72,000 times per minute before it would be ripped apart. So where are these extremely fast pulsars? If the team is right, pulsar J0952 won’t stay in second place for long.